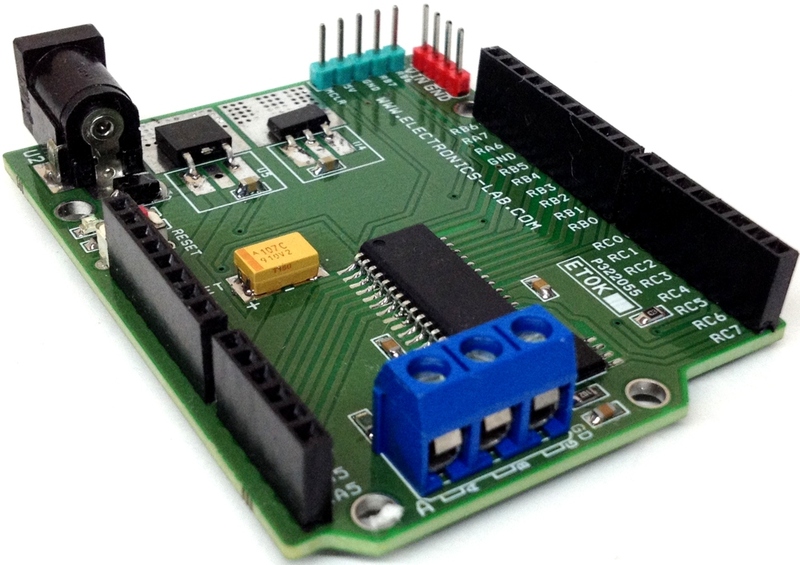 This project provides a simple and easy solution to connect your computer to a RS485 Network in either Receiver or Transmitter mode. 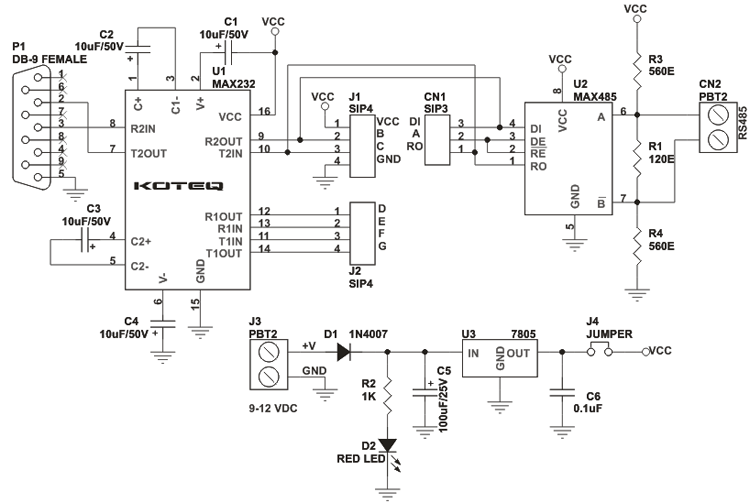 This circuit has been designed around popular MAX232 and MAX485 interface IC. 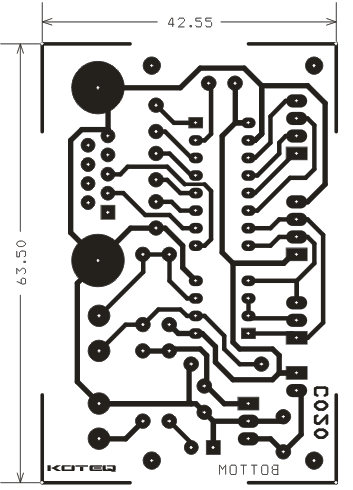 An Onboard 9 pin female D connects this PCB to the Serial Port cable (not supplied with the Kit). 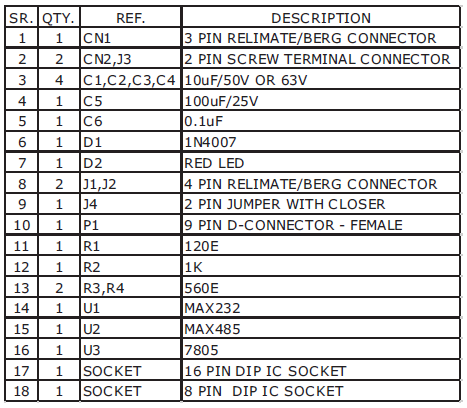 Connector J1 and J2 provide the MAX232 IC input/output (IO) and Connector CN1 provide MAX485 IO. An optional Power Supply section can provide regulated 5V DC to the circuit and can be included to power by bridging Jumper J4. 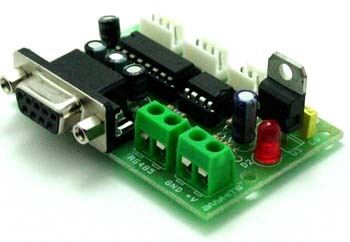 LED D2 provides visual indication of power on this board and Diode D1 prevents against reverse polarity connection of power supply at J3. This circuit can also work on 5V supply from the host interface which can be provide through J1 in which case you need to remove Jumper Link @ J4. 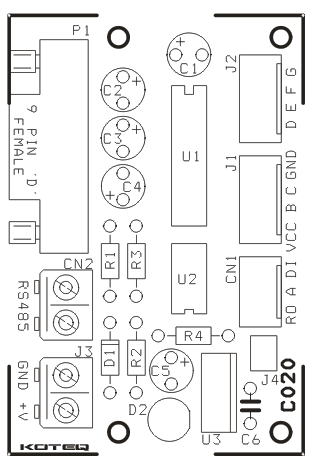 Connector J2 provide extra connection of the other set of level shifter with in the MAX232 IC. 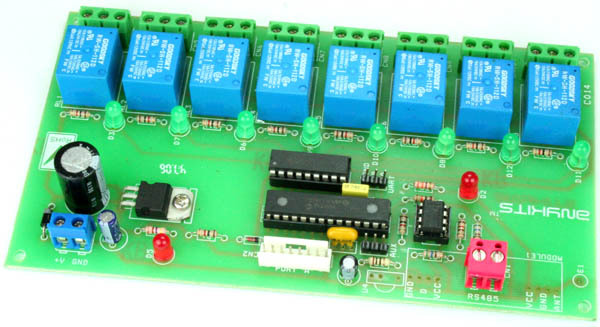 Terminal marked A on CN1 is the Receive / Transmit control Pin for the RS485 flow control. 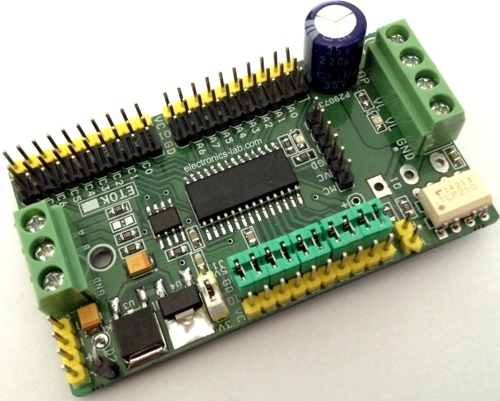 Pulling this pin to Gnd will enable the Receiver on the RS485 and Pulling it High (connecting it to Vcc) will enable it to work in the transmit mode.